NIA CHARLESTOWN NEVIS (November 12, 2018) —Hon. 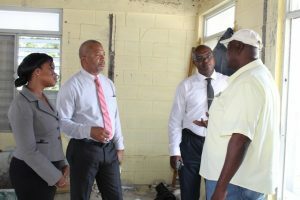 Spencer Brand, Minister of Communication and Works on Nevis, says the environment at the Charlestown Primary School (CPS) will become more conducive to teaching and optimal performance from the staff once the expansion project for the management office is completed. Mr. Brand spoke of the expectation on November 12, 2018, after a recent tour of the project for a first-hand look at the project which commenced in August. 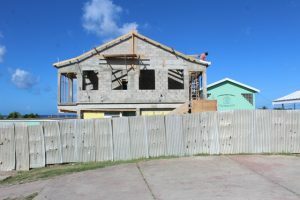 It is expected to be completed by year end in time for January, 2019, when students return to school from the Christmas holidays. “The roof is nearing completion. They are doing some plastering and the project is in its finishing stages. “I am pretty pleased with the progress of work so far and I am eagerly awaiting its completion. I believe the management of the school would be a lot more comfortable, and I believe they can now perform at an even higher level in their new more comfortable environment,” he said. Mr. 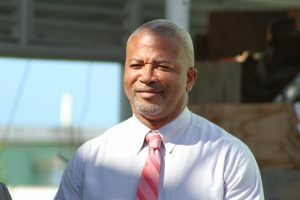 Brand who is also the Area Representative for the Parish of St. Paul’s, has also been integrally involved with the school prior to his election to the Nevis Island Administration almost one year ago. He said he was aware of the challenges facing the school since his children attended the school and he had served in the Parent Teachers Association (PTA) and now he is in a position to deal with the challenges, he is ensuring that they are addressed. The project which costs more than $500,000 is being done by contractor Mr. Alton Brown. It entails the construction of a two-storey concrete building. The principal, deputy principal and the administrative staff will be housed on the top floor which will be outfitted with washroom facilities. On the bottom floor will be the staff room, a kitchen and washroom facilities. Mr. 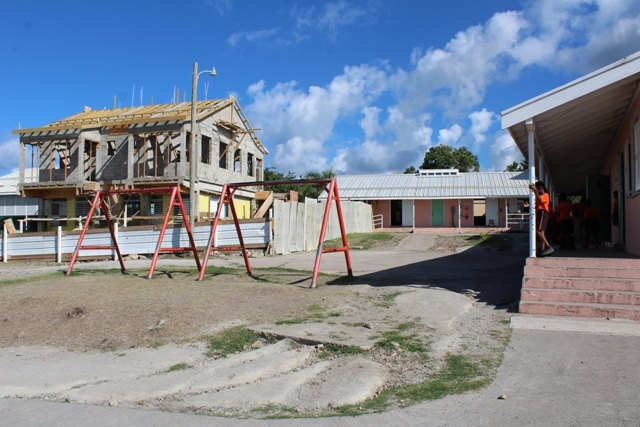 Brand said there is much to be done at the learning facility and he intends to keep his promise to the people of Charlestown, to add a science lab for the school. “That for me is critical. It is very important to expose our children to science at a much earlier age because I believe that if we spread that net wider at that earlier age, we will have most of our youngsters become more attracted to the field of science. “That for me is very personal and it is something I intend to get accomplished once I am in that position,” he said. Mr. Brand thanked all those who are involved in the project. He also used the opportunity to express regret to the students, staff and parents for the disruptions experienced during the course of the project. “The noise, the dust, I want to apologise for that and I hope that when it is all over and done you would be happy and more comfortable,” he said.